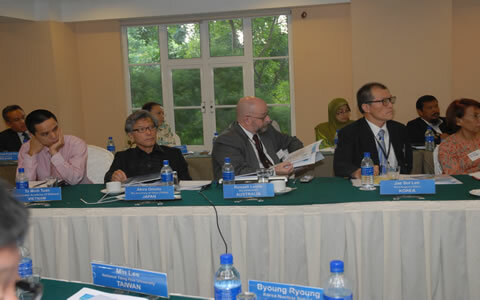 BANGI, May 31 – UKM already in the forefront of Malaysia’s nuclear education will shoulder a much heavier responsibility and work closer with Malaysian Atomic Licensing Board (AELB) to foster both research as well as manpower development for Nuclear Power management. It has recently signed an MOU with AELB in which the Faculty of Science and Technology will lead in the technicalities of Nuclear Science and Engineering, while UKM Faculty of Laws will take the lead with respect to Nuclear Law, protocols and treaties and those pertaining to its regulations and licensing. 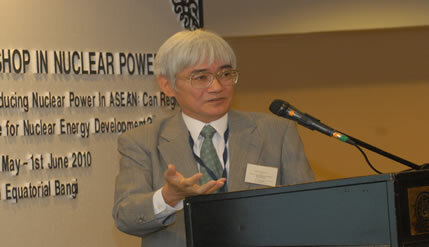 Announcing this the Vice Chancellor, Tan Sri Dato’ Dr Sharifah Hapsah Syed Hasan Shahabudin stressed that the recent signing of Non-Proliferation Treaty (NPT) as well as the introduction of The Strategic Trade Bill in Parliament shows Malaysia’s full commitment in ensuring the peaceful use of nuclear energy. She was opening the UKM-TODAI Workshop on ‘Nuclear Power: Important Considerations for Introducing Nuclear Power in ASEAN: Can Regional Cooperation be Attractive for Nuclear Development’ at the Equitorial Hotel in Bangi this morning. Her speech was read by Prof Emeritus Datuk Dr Noramly Muslim. The Workshop is being attended by 33 participants from 14 countries – Vietnam, lndia, Kazakhstan, Mongolia, USA, Switzerland, China, Taiwan, Korea, Australia, Singapore, Japan and Malaysia. 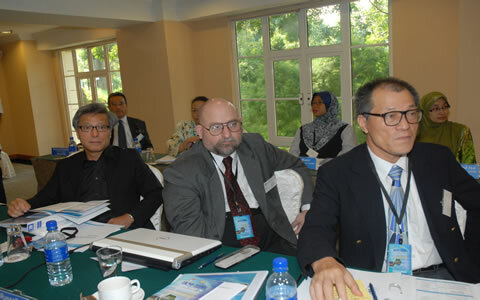 This is the third workshop organised by TODAI and the first in Malaysia, where UKM is the co-organiser and host. Malaysia earlier this month had announced that it is following Vietnam and Indonesia which are already firmed on Nuclear Power Planning. Our first Nuclear Power Plant (NPP) is planned to be in operation by the year 2021. Prof Sharifah Hapsah said that numerous issues needed to be tackled before the NPP can be brought into operation. Other than the capital investment which is relatively more than the conventional electric generation plant, the public perception, constitutional and the technological know-how also needed to be addressed. “Mountainous task lay ahead of us if each individual country decides to resolve these issues individually”, she said. At the moment, she said, more than 400 NPP’s are in operation world-wide, contributing almost 17% of total electricity generation. Some countries such as USA, Japan, Korea and France had been operating their NPPs for more than 30 years. Thus, the current Nuclear Renaissance phenomenon is a great advantage for them, as they had already established themselves in the world nuclear map. “Their enormous experience and knowledge hopefully can be shared and learnt by the newly emerging countries or countries which decide to have this technology in future,” she stressed. Prof Sharifah Hapsah said that in recent years, nuclear power is becoming the better option in addressing global issues such as reducing dependence on fossil fuels as well as minimising the carbon dioxide emissions and at the same time fulfilling the energy needs of the future. Malaysia has set a target of reducing its carbon emissions by 40%. Currently 58% of the 14 million megawatts of electricity generated worldwide comes from burning fossil fuels, a process that emits almost 27 billion tons of carbon dioxide annually, a major greenhouse gas, into the atmosphere. This have had a great impact on global climate reportedly leading to several catastrophies. The emissions can be minimized by expanding the use of renewable energy sources such as solar energy, wind power and hydroelectric power and by expanding the use of nuclear power, the only large-scale source of electricity other than hydroelectric power. With the recent development of reactor technology the lifetime of the existing reactor can be further extended to beyond 40 years without compromising reactor safety and building new nuclear power plants that are simpler, cheaper, safer and less prone to any unintentional activities, she said.